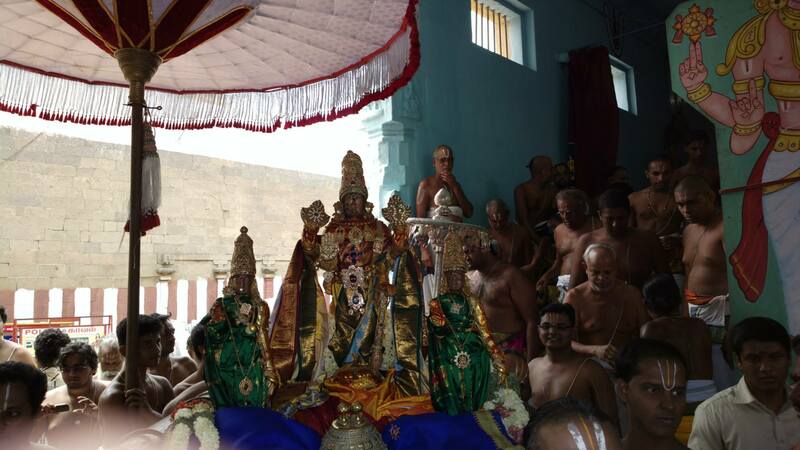 As part of the ongoing Brahmotsavam at Sri Varadaraja Perumal Thirukkoil, Kanchipuram, purappadu of utsavar Sri Devaperumal took place on Hanumantha Vahanam yesterday (May 24th 2013; Friday) and on Sesha Vahanam today morning (May 25th, 2013; Saturday). 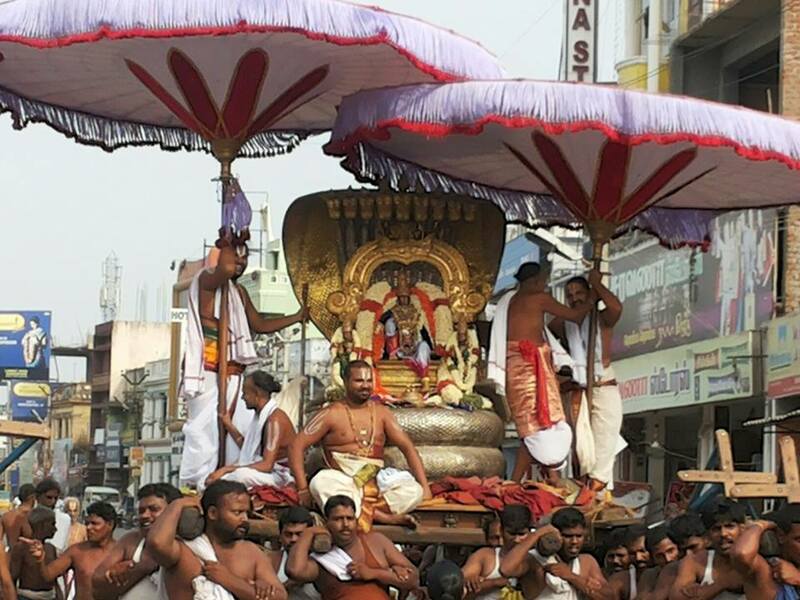 Today morning after a short (long) gap we would have dharshan of our ubhaya naachimaar’s when Devathirajan in Paramapatha nathan thirukolam rides on Sesha Vahanam. 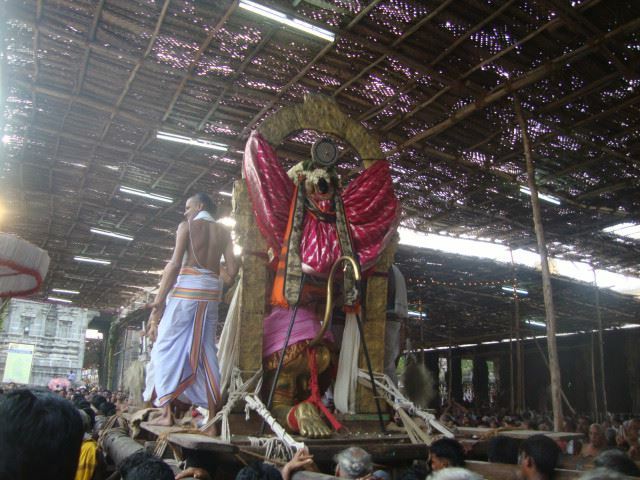 This purappadu is the trailer of what we could expect when we reach Srivaikuntam, when we leave our current body. 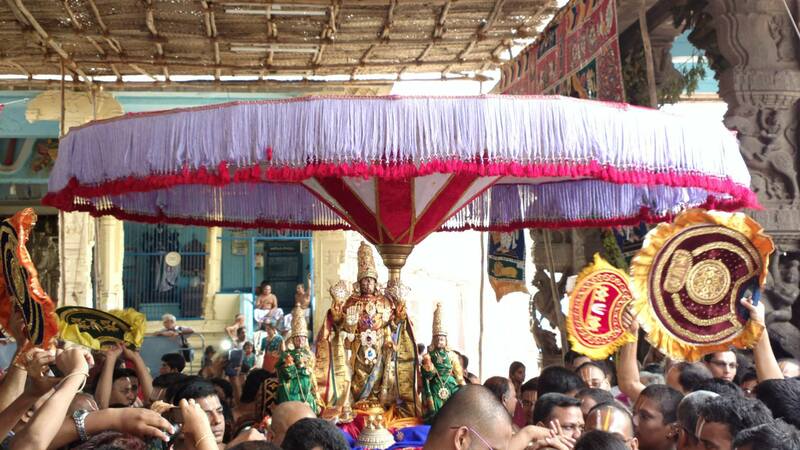 This is the way our Perarulalan is waiting for us. 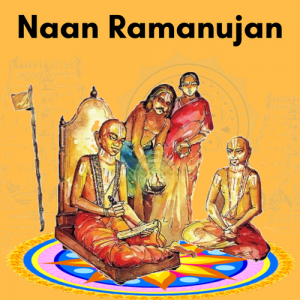 To truly appreciate today’s vahanam and the significance to the present yugam (kali) we need to have a quick preview into the sthala puranam. 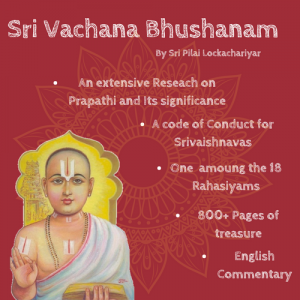 I know many of you may be aware but for the benefit of new readers, kindly bear with me, I would try and keep it short. 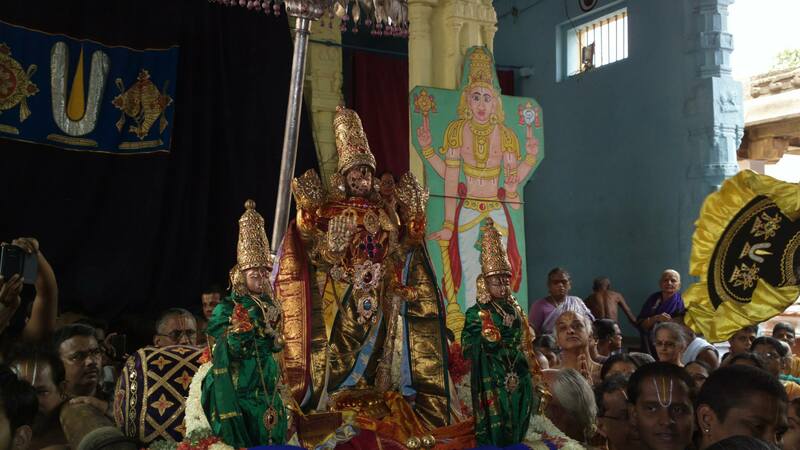 Varadar came down to Kanchipuram, also know as Sathya Vratha Kshethram, during Kritha yugam (the first of the 4 yugam) to bless Brahma, when he was performing a Aswametha Yagam to have dharshan of Brahmam. 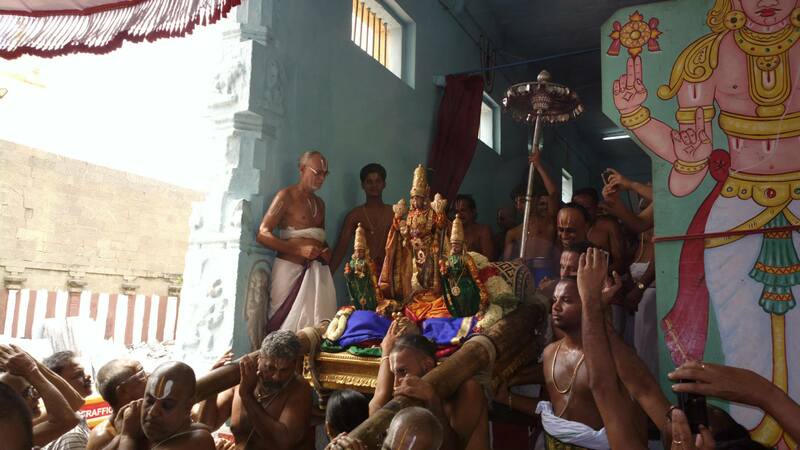 On Brahma’s request, Varadarajar continued to stay on top of Hasthi giri and continued to bless the devotees in that yugam. 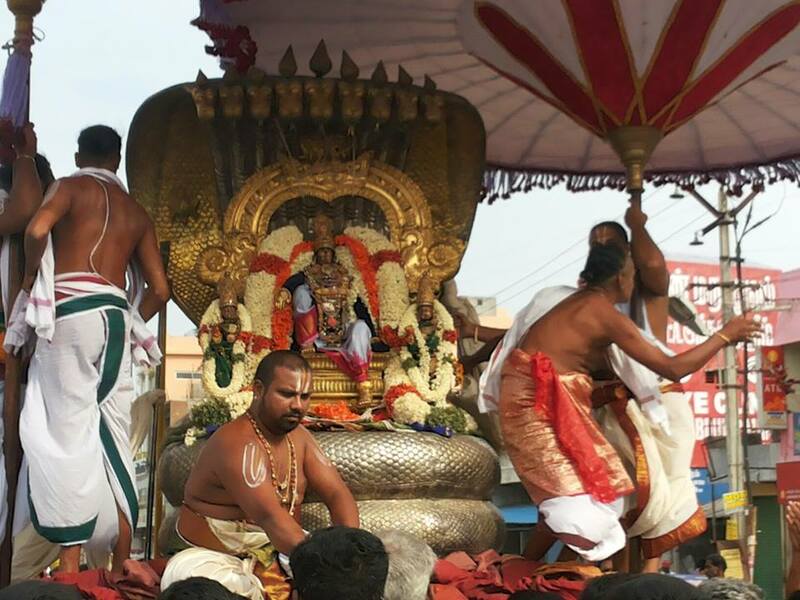 In Treta yugam, Varadar was worshiped by Gajenderan, yes the same elephant who was rescued from the clutches of the crocodile. 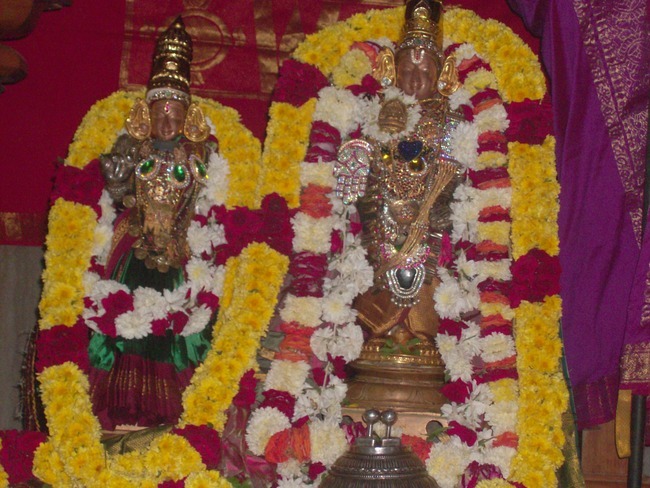 Brahaspati, Devas’ guru worshiped Varadar in Dwapara yugam. 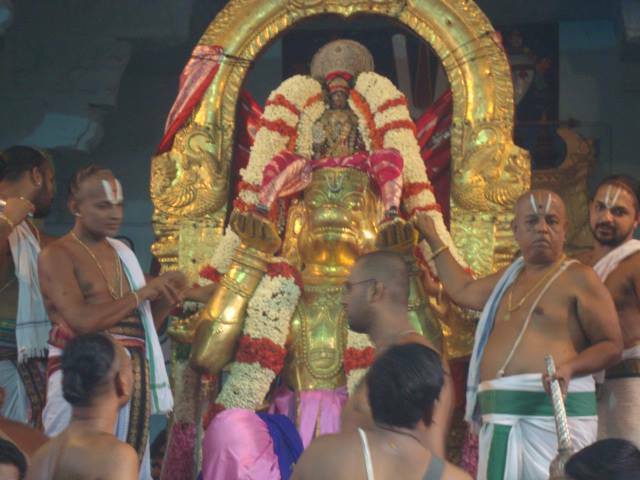 Currently in Kali yugam, our Varadar is worshipped by Ananthan. 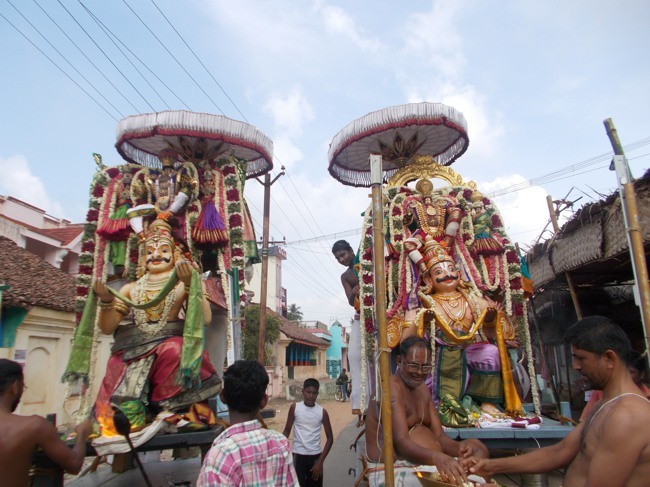 The present day archakas are carrying out the service on behalf of Adisheshan, the king of snakes. 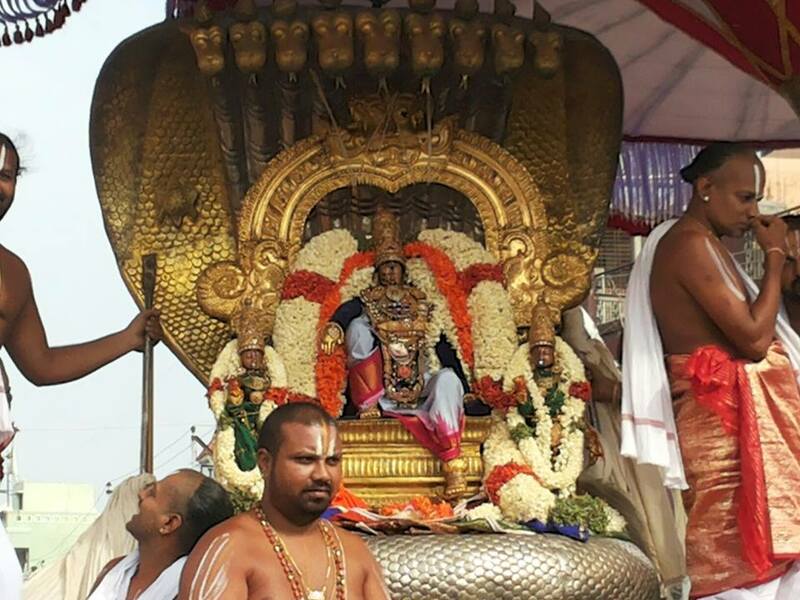 When our Perarulalan rides on Sesha Vahanam, he is honouring his archakas of the current yugam. 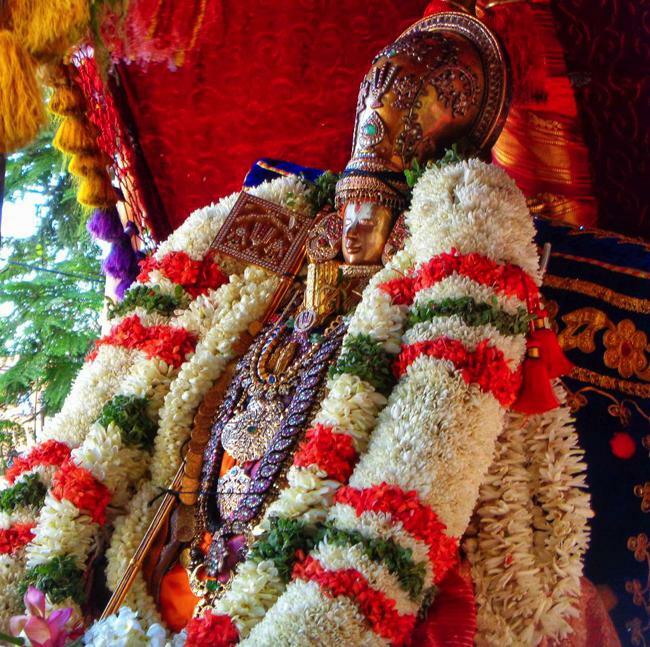 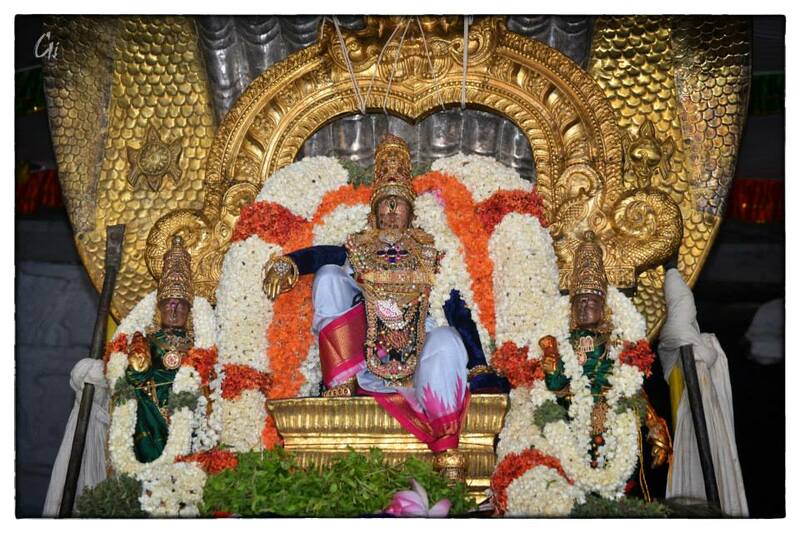 Devathirajan is decked with Thanga thiru abishekam and also adorned Robert Clive Khandi. 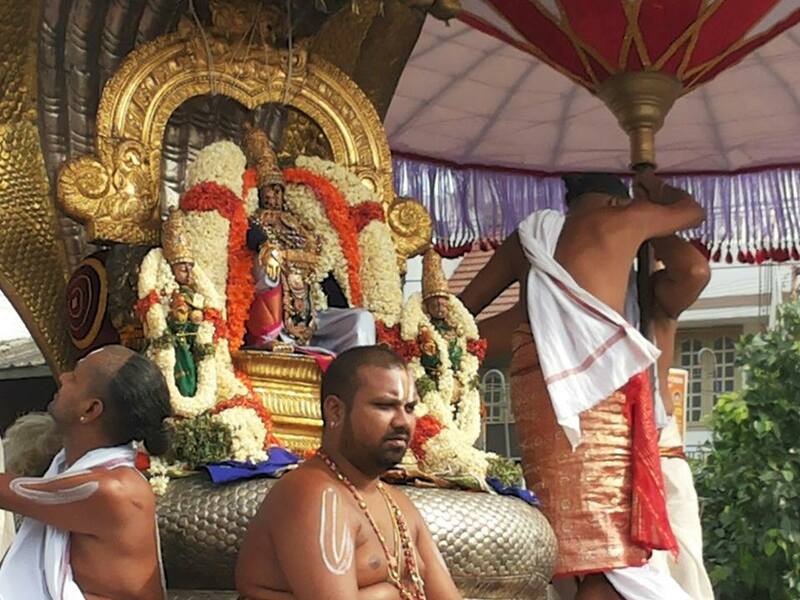 During today’s purappadu Naanmugan thiruvandhadhi was recited, that beyond doubt establishes our Lord’s supremacy. 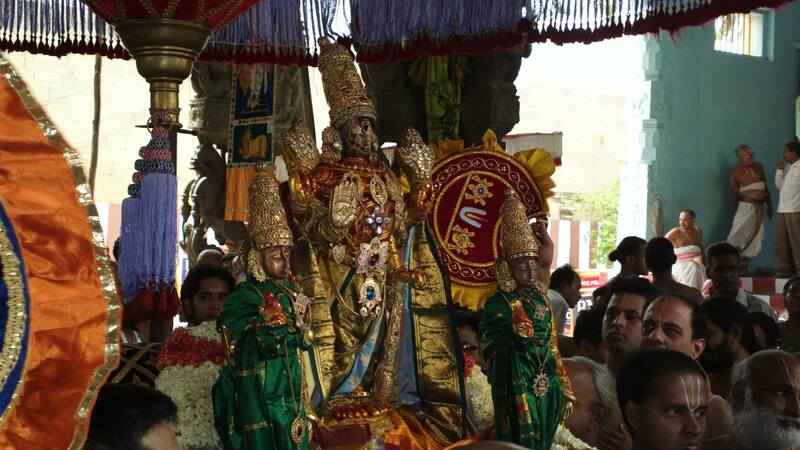 Earlier, I had touched upon couple of thiru abharnams. 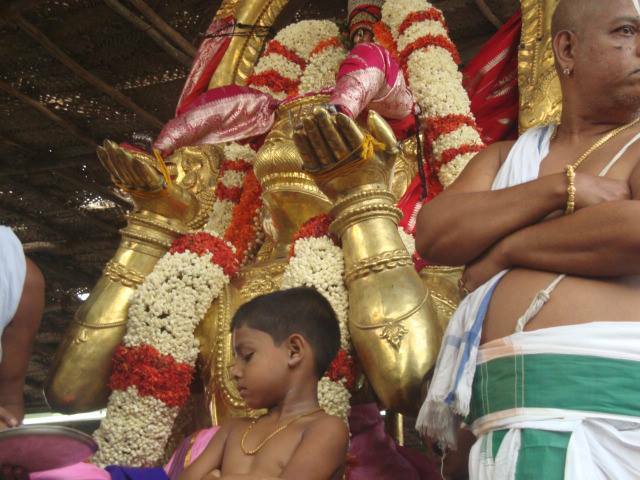 During Hanumantha vahanam our perumal would adore muttu toppa haaram. 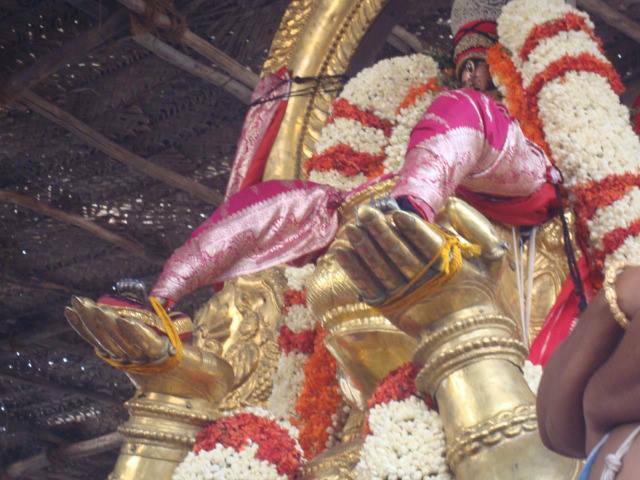 Back to purappadu. 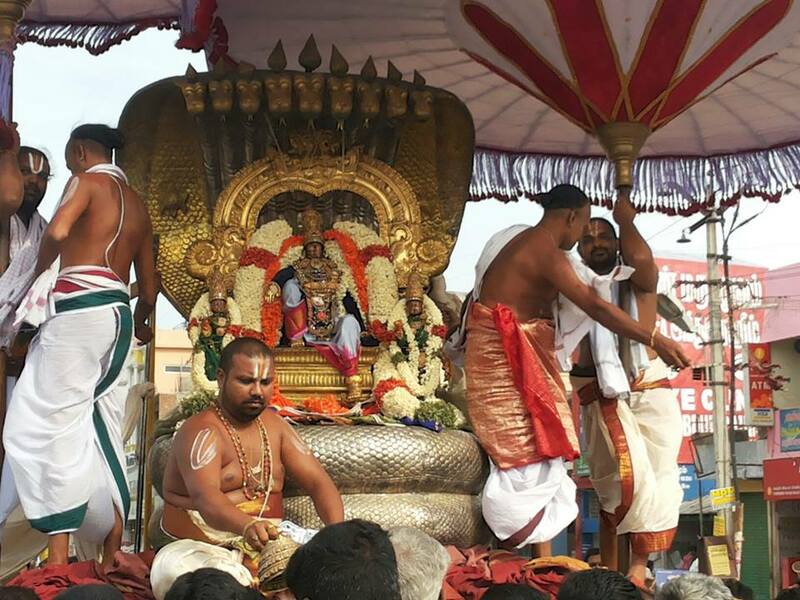 As we need to move both foot one after another to walk, similarly yesterday evening it was Siriya Thiruvadi’s turn following periya thiruvadi. 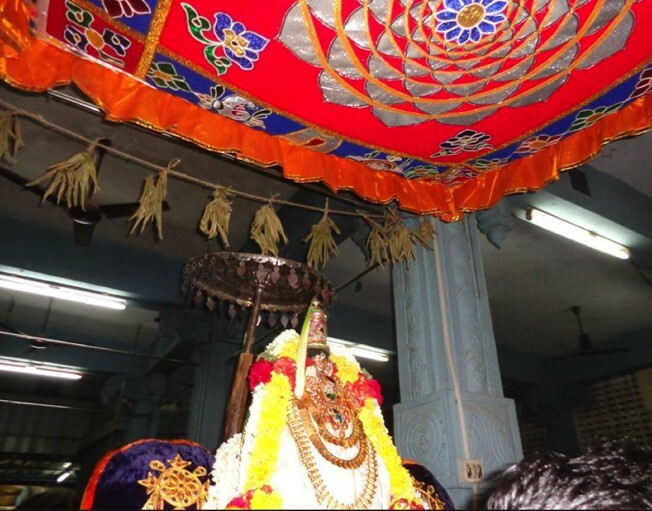 Divya prabhandam ghosti recited Periyazvar moonraampaththu during the purappadu. 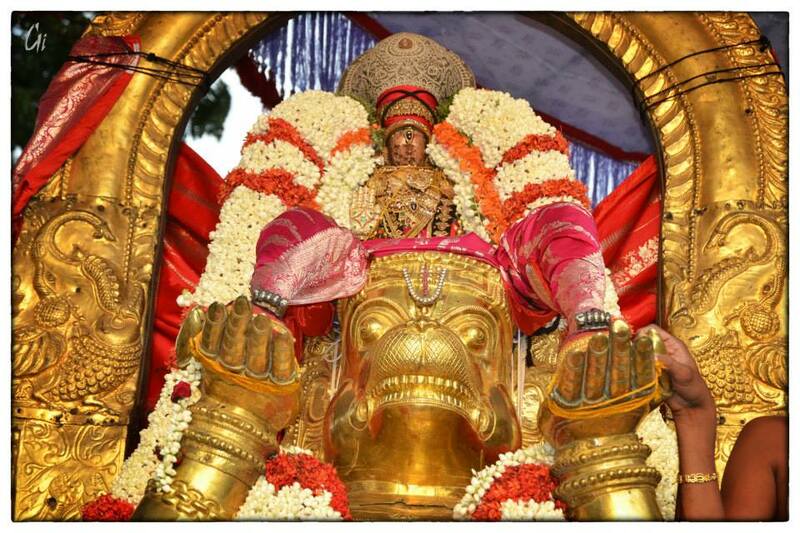 The following pasuram is so apt for the purappadu.